Looking to save money? Take a look at our Sales & Discounts page. Mexico restaurants are very family friendly and a great place to eat out with your little ninos in tow. There are 10 Mexico restaurants around New Zealand for you to choose from. 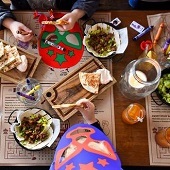 Each with entertainment supplies and fun masks to keep your kids busy while you enjoy that second Frida's Margarita! Looking to eat out with the kids on Sunday? 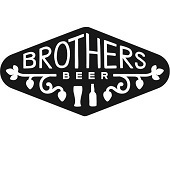 Brothers Beer Orakei has you sorted! To celebrate Sundays and Families, we have just started our special Kids Eat FREE on Sundays offer. Eat Better Dinners is a *NEW* affordable dinner menu planning service designed for kiwi families. Every week you’ll receive an email with 3 new meals, recipes, shopping lists & protein swaps to help you get dinner on the table without having to think about it. 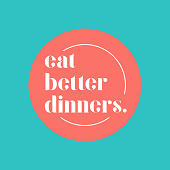 All Eat Better dinners are fully customizable. Easy to prepare in 30 minutes or less. And full of family-friendly flavours your kids will love. 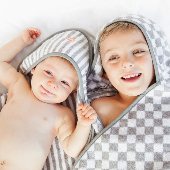 Troupe towels are a gorgeous range of contemporary baby and kids hooded towels, bath wraps and ponchos. Beautiful quality products that stand the test of time, but look great as well. Made from 100% cotton, which makes our garments luxuriously soft and smooth (and a kids favourite!). Great gift idea for the special little people in your life. 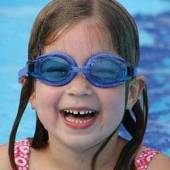 Do you want your kids to learn about water safety and how to swim? 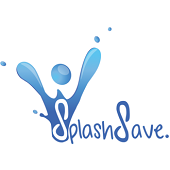 The SplashSave water safety programme has been put together with this mission in mind. A specially designed water safety programme for parents with young kids aged 0 – 7 years old, so they can take the lead when it comes to swimming and water safety education. 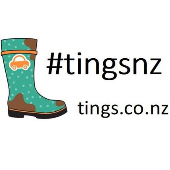 Tings is the home of gorgeous and practical things for babies, toddlers and preschool kids. From our handmade cotton toys, to comforters, hobby horses, unicorns, seat protectors and more. Tings captures two great collections under the same umbrella – Ickle Tings and Tinga-me-bobs. All made by one mum. 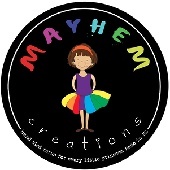 Mayhem Creations NZ is all about tutus! Tutu dresses and tutu skirts for little girls, tutus for dolls, cakes, tables and big girls as well! If you need a party outfit, flower girls skirts or dresses or just a fun outfit to play in? We can help! Walk & talk to the animals! Willowbank Wildlife Reserve makes for a very cool kids birthday party venue with lots of fun to be had and different party packages to choose from. Invite family and friends for a real ‘hands on’ experience. 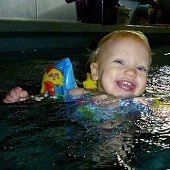 At Waterhole Swimming Centre we have kids swimming lessons for all ages from 3 months and over. Our classes are available 7 days a week and are specially designed for babies, toddlers and pre-school kids, by age and ability. Chiquimundo specialises in Spanish classes for babies, toddlers, preschoolers and school-aged children. We differ from other language schools because we include parents and caregivers in our classes too. 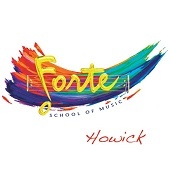 The Forte School of Music brings an innovative fun and unique approach to music lessons. The Forte method is designed to build confidence at the same time as teaching music skills, with courses structured to different ages from as young as 6 months. 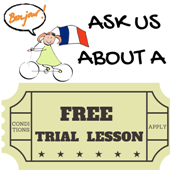 LCF Fun Languages offers FREE TRIAL CLASSES to kids 2-12 years old wanting to learn another language. 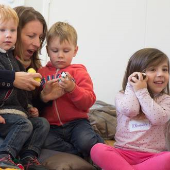 Our popular language learning clubs also incorporate music and movement to help get pre-schoolers using language quickly and naturally. 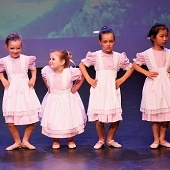 Bays School of Dance offers Baby Classes for 2 to 3 year olds and Pre-School Classes for 3 to 5 year olds. These classes are a basic introduction to Ballet, Jazz and Tap dancing, with an emphasis on having fun. Enjoy a coffee morning for you and bubs plus a FREE SWIM LESSON at a Hilton Brown Swim School near you! 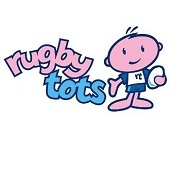 Try Rugbytots, the world’s favourite rugby play programme for boys and girls between the ages of 2 - 7 years. Rugbytots gives toddlers and pre-schoolers experience in all aspects of rugby, such as running with the ball, finding space, kicking, catching, scoring a try and much more. 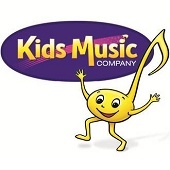 Kids Music Company in Takapuna aims to provide holistic, user-friendly kids music classes and activities to help babies, toddlers, preschoolers and school-age children develop their bodies and brains, setting them up for life. Music is fun and when children are having fun they are open to learning. 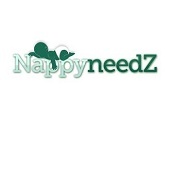 Nappyneedz specialises in great quality, affordable cloth nappies, cloth nappy advice, information and sales for New Zealand parents. At Nappyneedz we offer quality cloth nappies at a reasonable price and stock a great range of nappy accessories, including cloth nappy wet bags, flushable nappy liners, wipes and more. 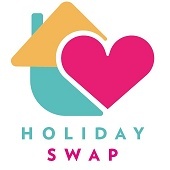 Holiday Swap is New Zealand’s Simplest Holiday Idea! Swap your home or holiday house with other like-minded people and let your adventures begin. You go to theirs. They come to yours! 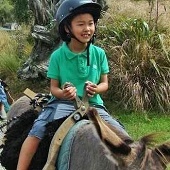 Holiday Swap is a great way for parents with young families to get out and see more of NZ without having to spend a fortune on accommodation costs. My name is Kim Corley, and I’m here to help! I’m a mum to two gorgeous children and a certified sleep sense consultant. Parenting is hard enough without missing out on sleep – so let me help you fix that! Whether you’re a new parent after advice, or an old hand with a sleep issue to fix, I’d love to help your family. Squoodles specialises in wooden educational toys for newborns through to school age. Fun, practical and well-priced toys available from our online store. Sign up to Squoodles LOYALTY POINTS PROGRAMME and collect 1 point for every dollar you spend on products from the Squoodles website. Once you reach 500 points, a $25.00 voucher code will be emailed to you to spend on whatever items you want! Here at The Cross we love to take care of the whole family and have pulled out all the stops to make sure you enjoy your experience, no matter your age! On Tuesday and Thursday mornings between 10am-12pm we have a professional massage therapist, offering up some relief for all of you hard-working parents! Baby Eden is an online baby and toddler boutique. Home to all things beautiful for your baby and toddler. From children’s toys and babies accessories, to well-known brands and quality products from around the world that have been made with your precious little ones in mind. 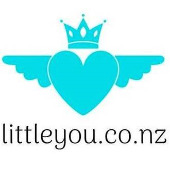 Little You specialises in organic baby products, dreamcatchers, baby shoes, hair accessories, and a select range of baby clothing, bed linen, personalised teepees and fun accessories that young children will love! At Little You we take pride in selecting sustainable products and packaging, good for the health of our children, and environmentally-friendly too. 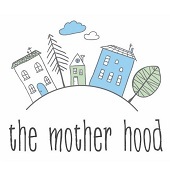 The Mother Hood is all about supporting and helping mums through the journey that is motherhood from pregnancy, birth and beyond. Our products are all selected to make life easier for busy mums. Whether it is our Peek-a-Baby carrier wraps that allow you to get on with life hands-free, while still holding your baby close, or our products to help your baby’s sleep, we love finding products that we know you will love too. 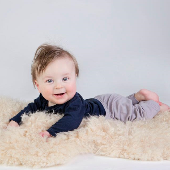 Tiny Turtles provides high-quality stylish affordable children’s clothing for premature babies through to 12 year olds, even the hard to fit pre-teen’s are covered. We only stock children’s clothing brands we are happy to use ourselves, that wash and wear well, and stand up to the rugged play we love to see kids engage in. Love to bake or give parties? 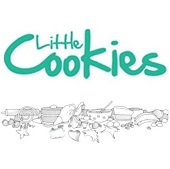 Little Cookies is a boutique New Zealand online store with fun baking products and kids party supplies at reasonable prices. We have all the baking, cake decorating and party supplies you could possibly need for your home baking and kids parties. 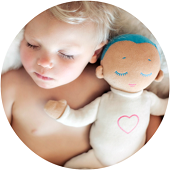 Sleepytot NZ specialises in award-winning sleep products for babies and toddlers. Designed by parents and approved by experts to help your kids sleep. We are also the official NZ distributors for The Lulla Doll, Baby Shusher, Rockit, Fuel Bottle, Easynight Blackout Blinds, Sleepytot Comforters, and the Glow Dreaming Sleep Aid. Nappies Direct is the number 1 online distributer of high quality baby products, stocking well recognised baby brands and delivering directly to families throughout New Zealand. 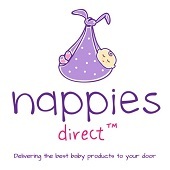 As an Under 5s Follower, Nappies Direct is offering Free Freight to the first 1000 customers who spend $100 or more on their first order on the Nappies Direct website. 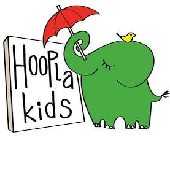 Hoopla Kids makes life fun with colourful, 100% organic cotton Scandinavian kids’ clothing. 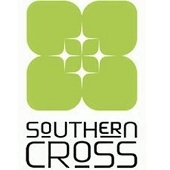 Brands include DUNS of Sweden, More than a Fling, Moromini, Slugs and Snails, Little Green Radicals and Plastisock. Sizes newborn - 12 years. Quality, sustainable clothes to have adventures in! 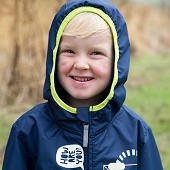 New Zealand owned and designed, Therm is outdoor gear that is made specifically for kids. We make outdoor gear that kids want to wear. It’s fun, it’s comfortable, and most important of all, it works. Little shoes at little prices! 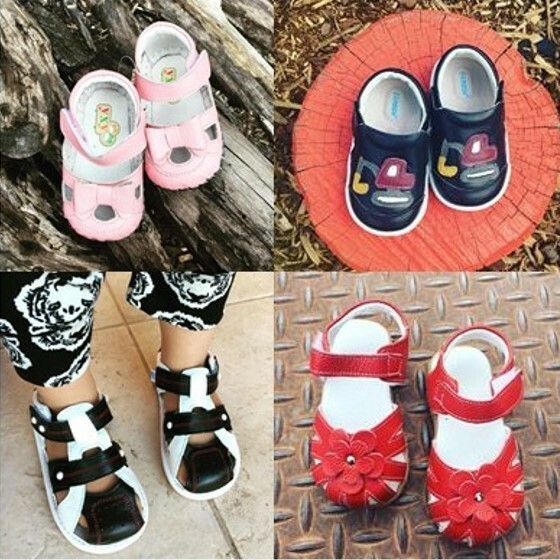 At Bugalugz, we believe baby shoes, toddler shoes and kids shoes shouldn't cost the earth and stock shoes for healthy foot development, priced from just $25-$75. We have over 100 styles and colours available and stock shoes to fit newborns through to about 4 year olds. 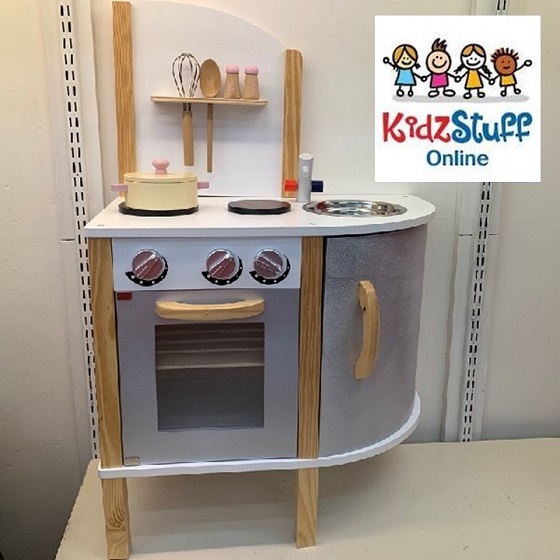 Kidzstuffonline now has over 300 toys to choose from and lots of new products arriving every month. Our toys are suitable for babies right through to school age kids, with something special for every little person. Babies love Babu and you will too! Our well-loved products are made from the natural fibres of merino and organic cotton. We have a range to suit your baby and toddlers every need - clothing, bedding, bathing, skincare and that perfect baby shower gift. 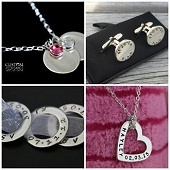 Custom Keepsakes specialises in personalised jewellery, gifts and keepsakes. I turn your precious memories into precious jewellery designed to be worn daily, close to your heart where loved ones belong. I offer free national courier delivery on all orders over $100. 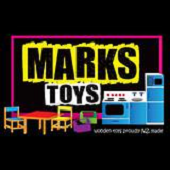 Welcome to the world of MARKS TOYS where we offer FREE SHIPPING NZ wide. We hand make all our products here in NZ with NZ supplies. All our products/toys will arrive to you ready to use/play with.